This series ran to at least 18 volumes and is, so far as we are aware, the first one in the field to be marketed exclusively on tape - both 8-track cartridge and cassette. The tapes were produced by Arrowtabs of London, a company which normally produced photographic accessories and processed 8mm films. Often, Arrowtabs would purchase recordings from Avenue and so many of the tracks below can be heard on those albums too. 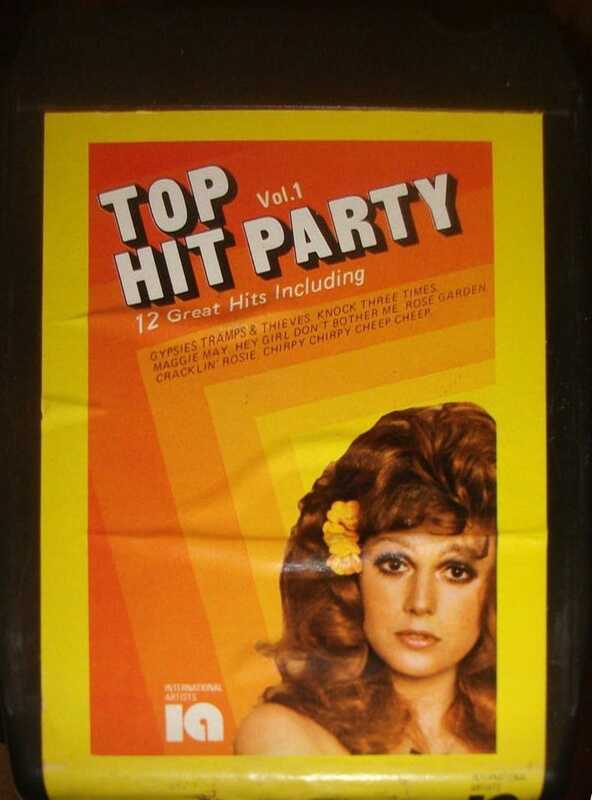 For some editions however, we have alternative issues of "World Top 12", which in turn are alternative issues of "Non Stop Hits" (RCA) volumes 7 and 8 - and at least one matches a "Non Stop Hits" on the Aries label - so the source material varied. 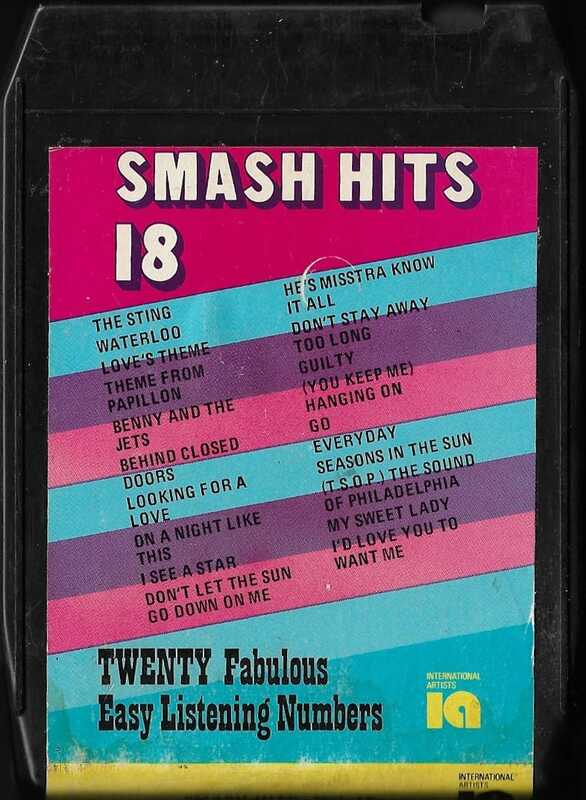 The series started out as "Hits From England's Top Twenty" but at some point in late 1972, became the snappier "Smash Hits". With only about half the tapes confirmed at present, we have not attempted a full discography, and just present what we have on record. We hope that more information will surface in time and would love to hear from anyone who can add to this listing. The catalogue numbers are for the 8-tracks. Cassettes are believed to have the same numbers, but prefixed with 40 rather than 80. Thanks to Colin Cannon for help with this series and to Simon McLean for background info. Comments: cassette catalogue number is 40-109. 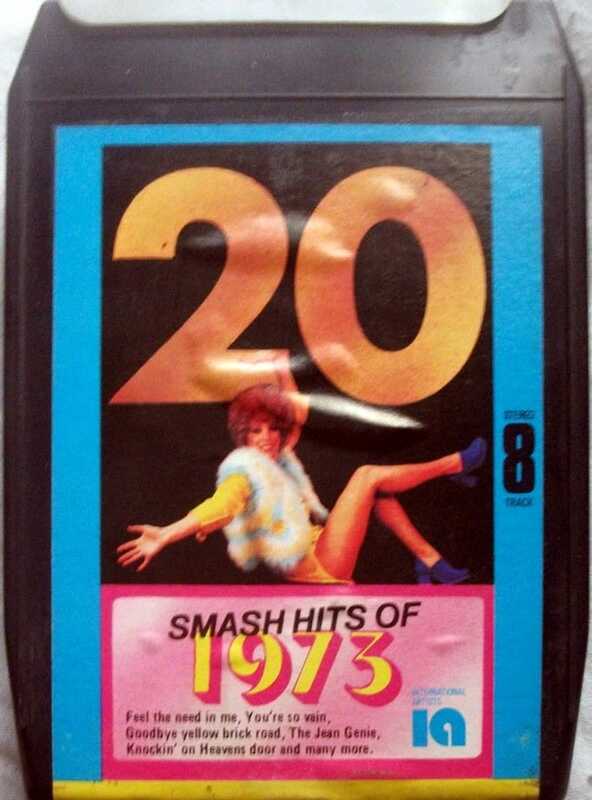 Volume 2 - "Hits From England's Top Twenty"
Further details not currently known. Comments: contents match the Mike Morton LP, Non Stop Hits volume 4, on the Aries label, although they have been re-sequenced. 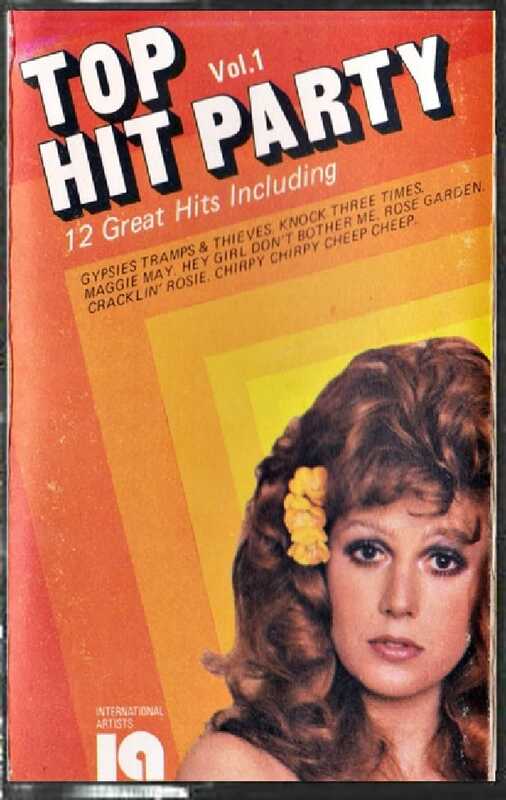 The cover model is Susy Shaw, and the image is from the same shoot as the prior edition of Non Stop Hits - a rare example of two different series sharing photograohy. Comments: This album contains 14 tracks rather than the usual 12. The track “Own Up”, given on the cover, is presumed to be “Open Up”, whose vintage is correct and which also features on several budget LPs alongside other tracks on this album. Comments: This album contains 14 tracks rather than the usual 12. Comments: This is the same album as "World Top 12" volume 43, and "Non Stop Hits" (RCA) volume 7. Comments: This is the same album as "World Top 12" volume 44, and "Non Stop Hits" (RCA) volume 8. Comments: Nine of the 12 tracks are also featured on "16 Chart Hits volume 9", and it is likely that they are the same recordings. The song "Love Me Like A Rock" does not appear to feature on any other cover albums. 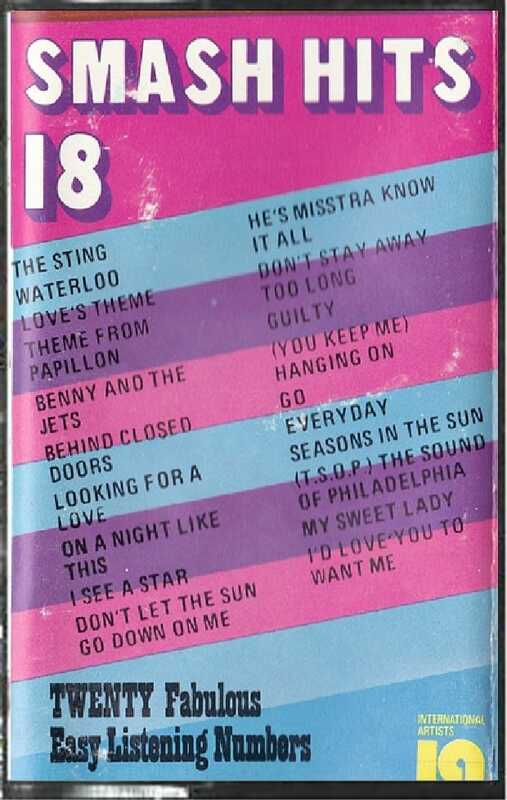 Comments: contents upped to 20 tracks - 12 of which are probably from the usual sources, the other six being unknown in the covers album format (Love's Theme / Theme From Papillon / Benny And The Jets / Looking For A Love / On A Night Like This / Go / (T.S.O.P.) The Sound Of Philadelphia / My Sweet Lady). 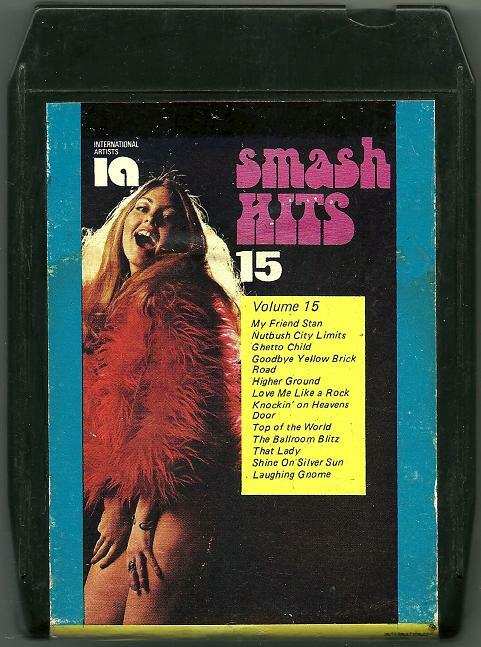 GIven the cover design, this is probably another 8-track from the series, but the image is of such low resolution that we cannot yet identify it. Comments: Not sourced from the main series, which was just starting up as this album appeared. No other series carries all 12 songs. ("Top of the Pops" has 11, as does the Avenue series.) There is also a volume 2 in existence, although the contents are unknown to us at present. Cassette cat number is 40-123. Comments: our discography is incomplete, but we know that 12 of these tracks come from volumes 13, 14 and 15. All of the other eight sit chronologically in our gap between volume 9 and volume 13 - so it's fair to assume that's where they originate.